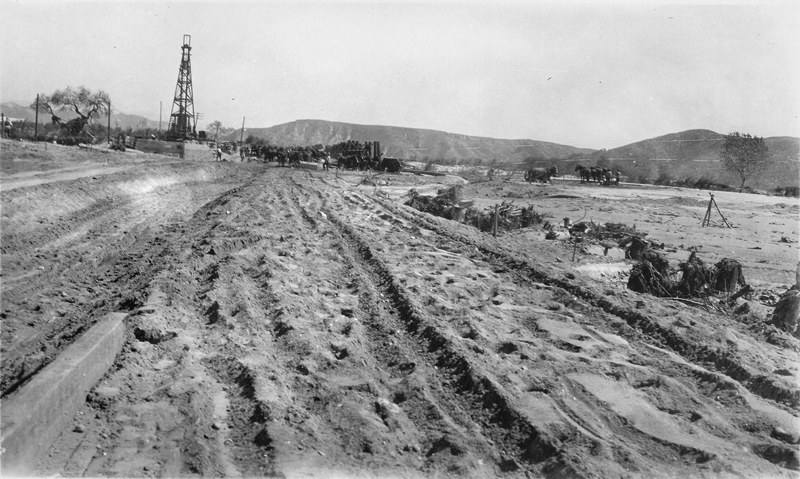 A steam-powered pile driver used southwest of Castaic Junction to install timber piles for a new bridge to replace one that washed away when the floodwaters hit during the early morning hours of March 13, 1928. According to Jason Brice, the pile driver seen in this photo (RO2803e) and this photo (RO2803f) is in the same location, one view looking west and the other east. Brice has circled the spot where the pile driver is being used to rebuild the bridge over Castaic Creek. 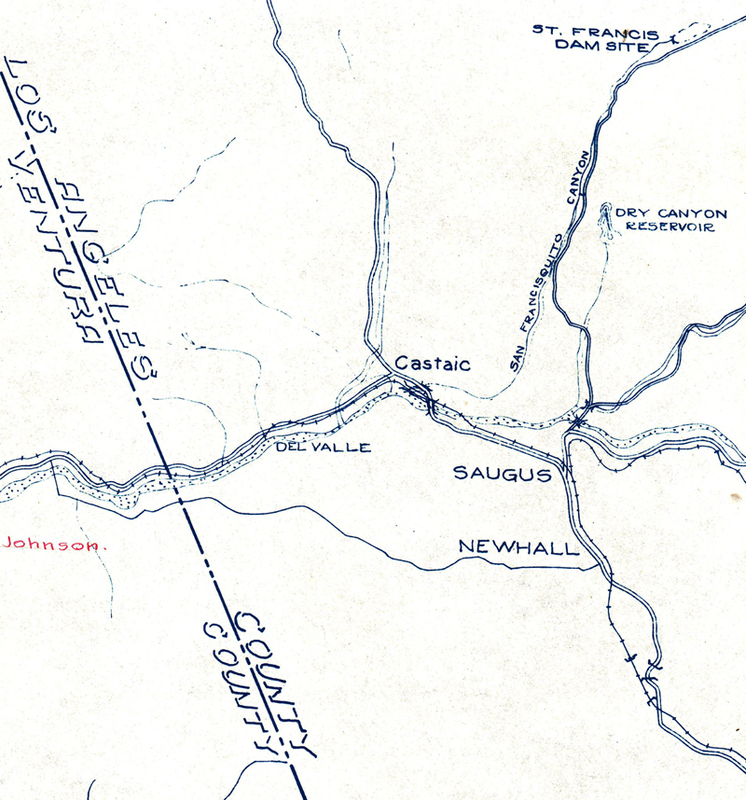 Destroyed highway and railroad bridges | Click to enlarge. RO2803f: 19200 dpi jpeg. Online image only.